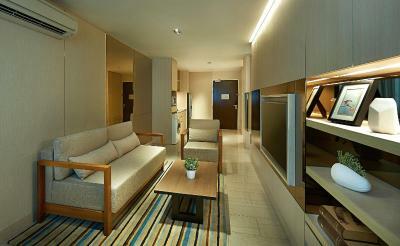 Lock in a great price for Oasia Suites Kuala Lumpur by Far East Hospitality – rated 8.5 by recent guests! The location was good, a short Grab ride to KLCC and many other shops and restaurants. 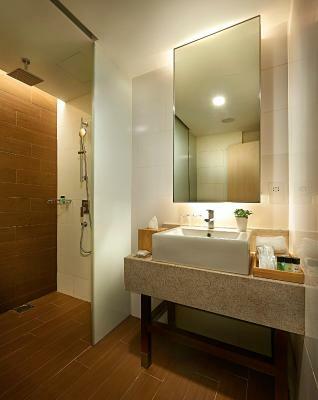 The pool is kid friendly and nice facilities near the pool for changing and showering. The room was very spacious. Location. Comfy beds. Spacious. 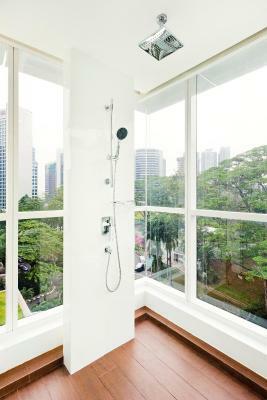 Excellent shower/washroom. Room Cleanliness. 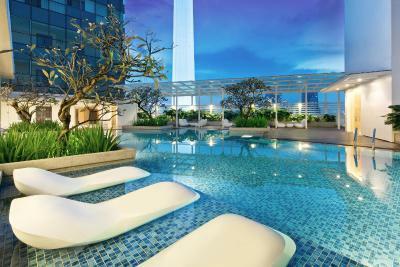 Swimming pool, amazing view from swimming pool. Airport transfer option was very helpful and charges were very reasonable (100 MYR for normal Cab(Toyota Innova). 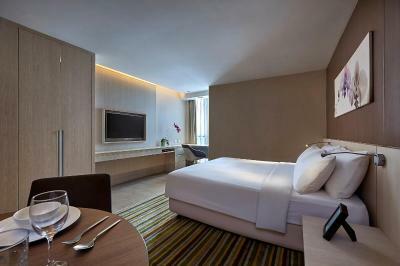 Room service lady was extremely helpful and provide very good service. Variety of electrical outlets. Hotel amenities are great. 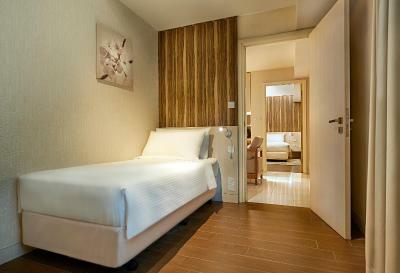 Rooms are very spacious and comfortable. Room very clean with a spectacular view. Totally met my Expectations! Having a washing machine/dryer with washing powder was amazing! Lucky on my departure the staffs are friendly and helpful. 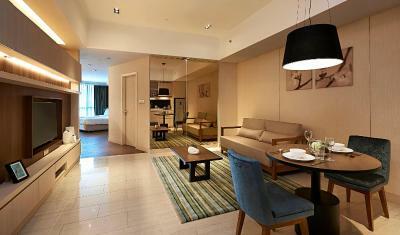 We love to stay in oasia suites because they staffs services and the most comfortable places / room super clean.. Friendly staff, lovely swimming pool, great location. 1. Your staffs are friendly ( from the bell boy, the guards to the reception ) & made us feel right at home from the moment we checked in. Kudos on this excellent service! 2. The unit is very spacious & private. Love this! 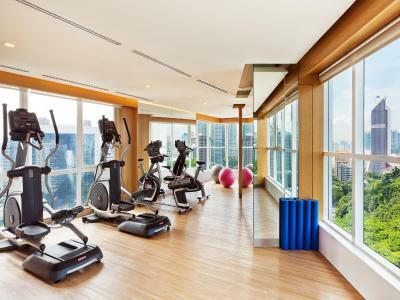 Oasia Suites Kuala Lumpur by Far East Hospitality This rating is a reflection of how the property compares to the industry standard when it comes to price, facilities and services available. It's based on a self-evaluation by the property. Use this rating to help choose your stay! 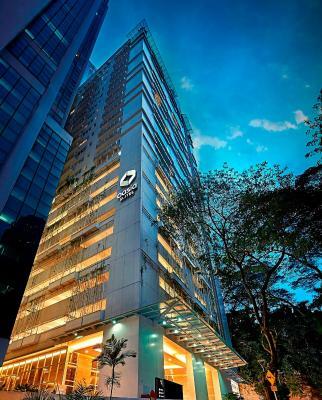 One of our top picks in Kuala Lumpur.Oasia Suites Kuala Lumpur by Far East Hospitality offers stylish and spacious accommodations within walking distance to the city's landmarks. It houses a rooftop pool, a 24-hour gym and a restaurant. Free WiFi is accessible throughout the property. 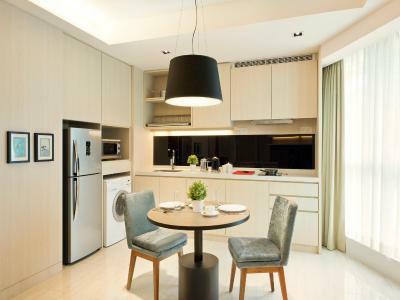 Fitted with modern furnishings, each fully furnished unit is air-conditioned. 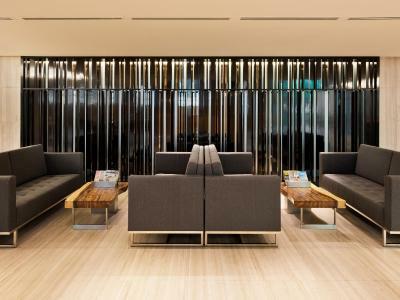 The seating area comes with a flat-screen TV and coffee/tea making facilities. For your comfort, a kitchen and a washing machine are provided. 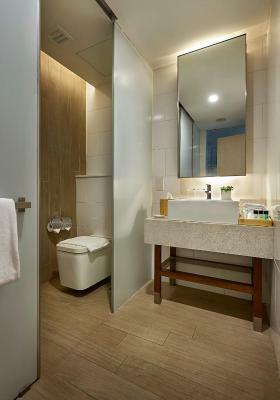 The private bathroom includes shower facilities and bath amenities. 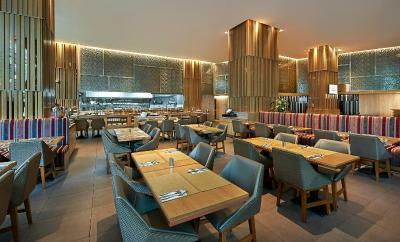 Kafe Oasia serves buffet breakfast, along with lunch and dinner. Other dining options are located 1,650 feet away. 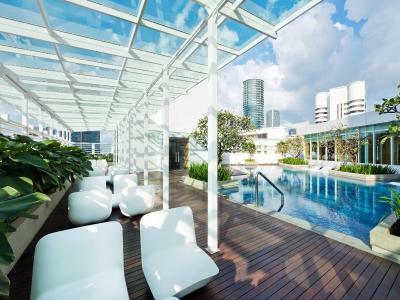 Guests can swim at the pool or relax in the sunbed. 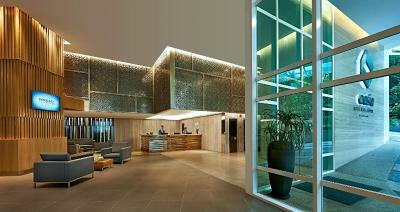 Alternatively, you can enjoy snacks and coffee at the resident lounge. 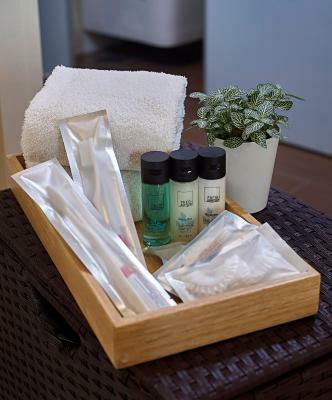 There is a 24-hour front desk where guests can request for services such as laundry and dry cleaning services at a surcharge. 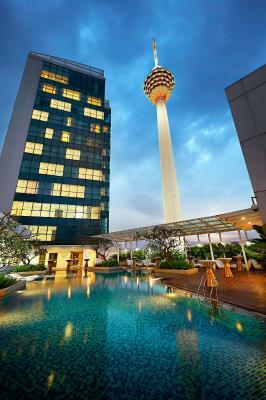 KL Tower is 2,650 feet from Oasia Suites Kuala Lumpur by Far East Hospitality, while Bukit Bintang shopping district is 0.7 mi away. Sultan Abdul Aziz Shah Airport is 19 mi from the property. 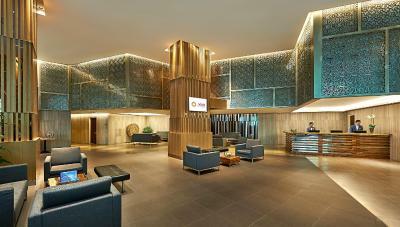 When would you like to stay at Oasia Suites Kuala Lumpur by Far East Hospitality? 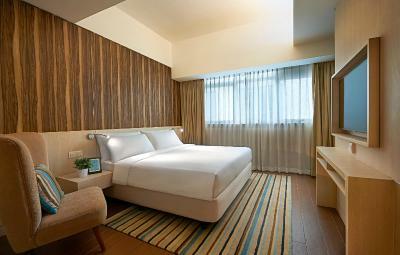 Featuring a 42-inch flat-screen TV, this stylish room is fitted with a king bed and air conditioning. 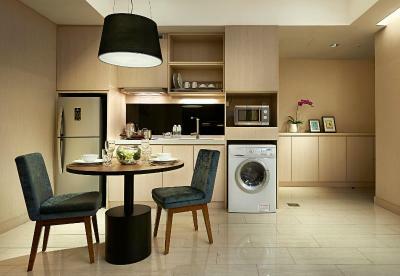 A kitchenette and a washing machine are available. The private bathroom comes with bath amenities. 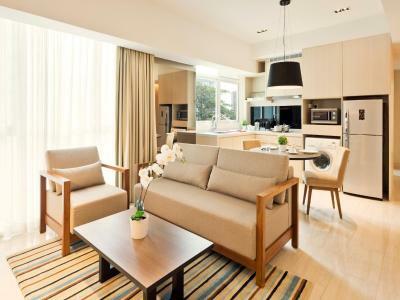 This stylish apartment features stylish furnishings and 2 flat-screen TVs. 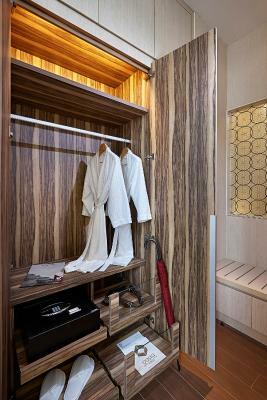 Ironing facilities and kitchenware are provided. The private bathroom comes with bath amenities. 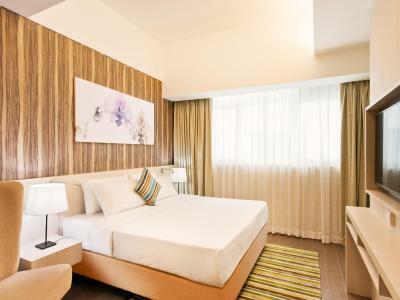 This 54 sqm suite is stylishly designed and features air conditioning. 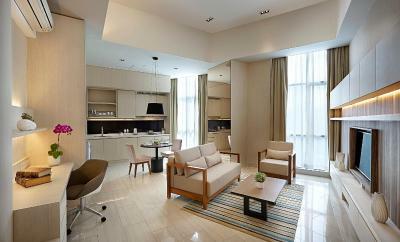 The living area is fitted with a 47-inch flat-screen TV, a DVD player and coffee/tea making facilities. 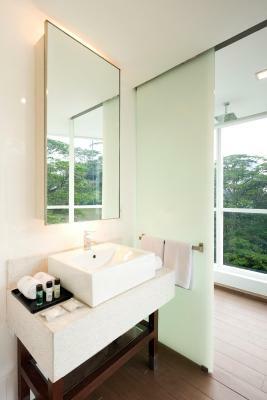 Bath amenities are included in the private bathroom. 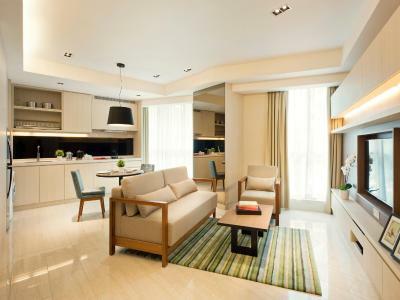 This spacious suite has 2 bedrooms and stylishly designed. 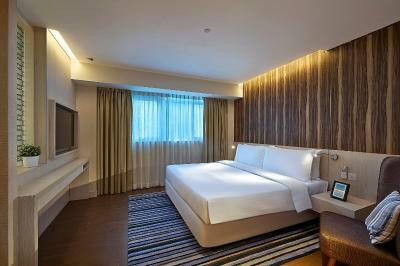 It is fitted with a king bed and a single bed. There are a living area and a kitchenette. The private bathroom includes bath amenities. 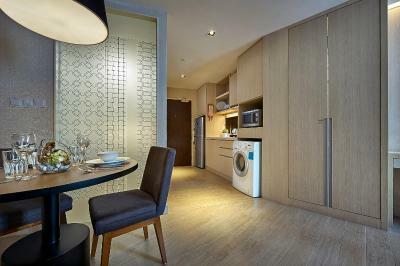 Offering additional living space, this spacious and modern suite feature city view and 2 bedrooms. 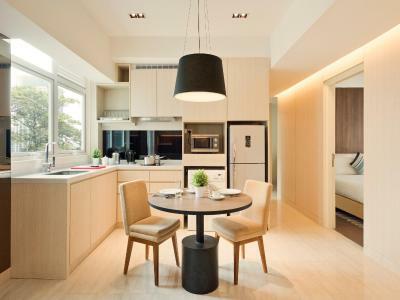 It is fitted with a kitchen, a seating area and a dining area. The private bathroom includes bath amenities. This family room has a DVD player, tumble dryer and mini-bar. 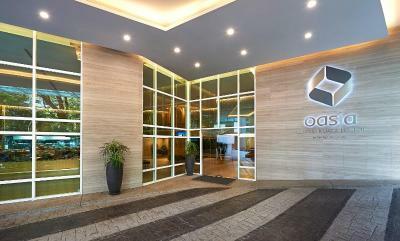 Oasia Suites Kuala Lumpur, Malaysia by Far East Hospitality is a modern hotel with serviced apartment facilities. 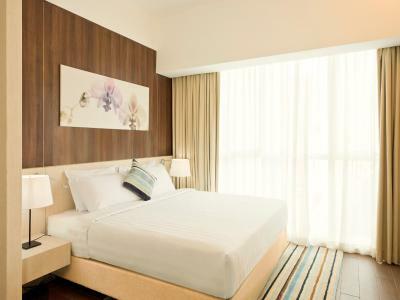 The hotel is conveniently located in the Kuala Lumpur Golden Triangle, with the Kuala Lumpur City Centre within walking distance for easy access to the city’s key business infrastructure. 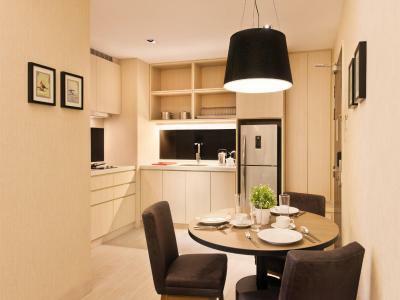 Pavilion Shopping Mall and the bustling Bukit Bintang area are just a 10-minute drive away. It also sits adjacent to KL Tower and Bukit Nanas, Kuala Lumpur's only surviving primary tropical rainforest and nature reserves. Kuala Lumpur International Airport is 60 minutes away by car. 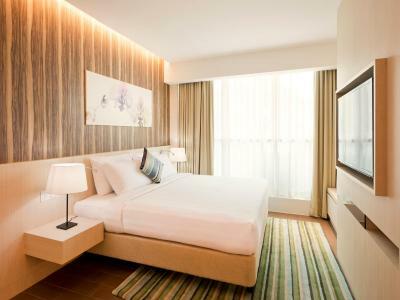 The hotel offers a range of rooms and apartments which comes with complimentary Wi-Fi connectivity, a kitchenette and living area. 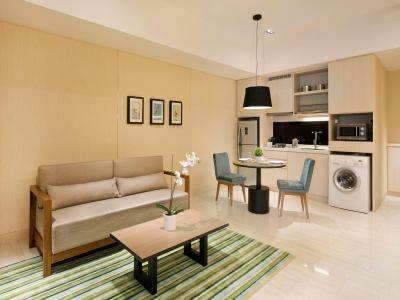 Other amenities include a LED TV with cable TV channels, washing machine & dryer, individually controlled air-conditioning units, bath amenities, iron & ironing board, and hair dryer. International ala carte menu and buffet breakfast are served daily at the all-day dining restaurant located at the lobby level. 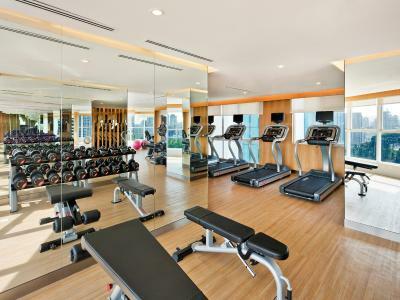 Recreational facilities include a rooftop swimming & garden and a 24-hour fitness centre, set against a picturesque view of the Kuala Lumpur Tower and the city sky. 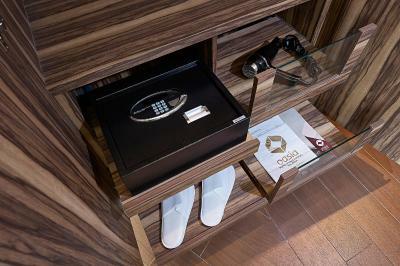 House Rules Oasia Suites Kuala Lumpur by Far East Hospitality takes special requests – add in the next step! All children under 12 years are charged MYR 93.28 per night for extra beds. 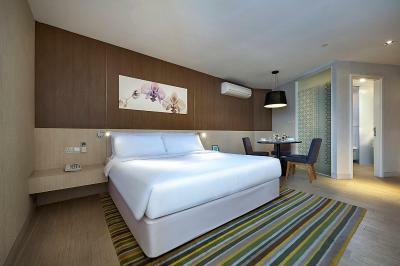 Any additional older children or adults are charged MYR 93.28 per night for extra beds. 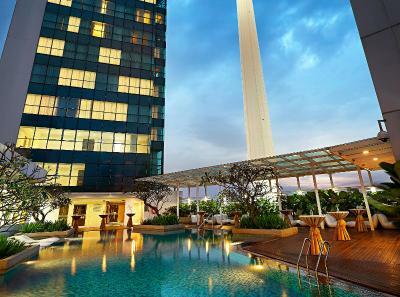 Oasia Suites Kuala Lumpur by Far East Hospitality accepts these cards and reserves the right to temporarily hold an amount prior to arrival. towels very old from being washed many, many, many times. Bathroom not cleaned properly. Housekeeping only came at 5PM to clean room, yoga mats in fitness area so old and used, that I had little blue parts of it in my hair afterwards. the first three things I tried to order from the room service menu were not available. When the food arrived it was cold. Air con rattled very loudly during the second night. the bed was great quality! Great pillows, very good mattress, good quality linen. Towels are too old and colored grey. Its seems very old. Need to be renovated. Hard to find mirrors except bathroom. I liked the comfy bed and pillows. Location is good. 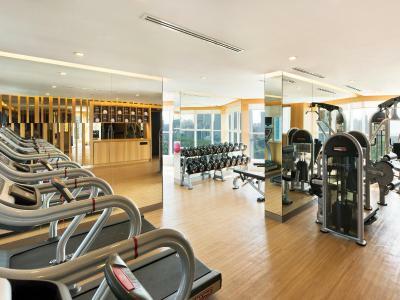 Free parking, comfortable with a nice gym. I found the toilet glasses have stain. Passerbys are quite loud outside and you could her the next room's TV on so loudly after 7am. The unit was great. 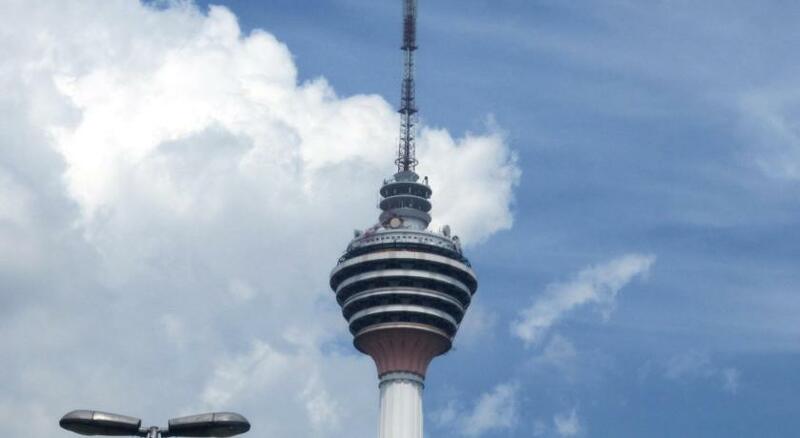 Saw the 360 degrees tower. The front manager at day time was helpful. The pillow was a little too tough to my taste. Our stay was incredible. The room and service was perfect and we were always greeted with large smiles from the doorman. Road to carpark too small, swimming pool mini. Only have two small elavator. Bad Kitchen. Facilities must increase. It was a nice hotel as usual, since I have stayed there many times. But once again, the staff did not recognize that I have stayed many times at the hotel. I like that the room toilets also had some minor repairs done. 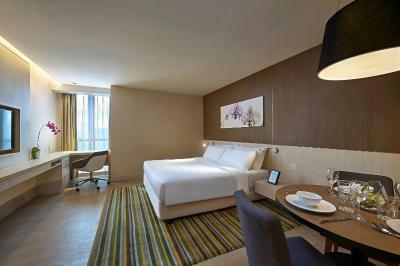 Nice room, simply top hotel. 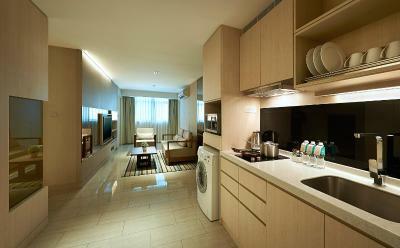 Big room, kitchenette with fridge. Comfortabele bed. Nice bathroom.